At the time of writing, the National Energy Board’s Joint Review Panel (JRP) has just published its recommendation that the Enbridge’s proposed Northern Gateway to transport Alberta’s tar sands oil to the northwest coast of British Columbia should be approved subject to 209 conditions. The JRP public hearings were completed in June 2013 and its decision – based on the National Energy Board Act and the Canadian Environmental Assessment Act – was released on December 19th, 2013. The recommendation will now go to the Federal Cabinet for discussion and final decision. We do not know what the Harper government will decide, although given that the Prime Minister is on record that he will not accept “no” for an answer from the U.S. government to the proposed expansion of the Keystone XL pipeline, the signs are obvious and ominous and it would be a major surprise if the Conservatives turned their backs on their oil-patch supporters. But while the JRP deliberates and the politicians’ decisions are awaited, there is one certainty: the Enbridge pipeline will never be built. How can we be so sure? We are sure because the people of northern British Columbia and their supporters elsewhere will not let it happen. Some of the reasons why they will not let it happen are contained in the Voices of our book: The Answer Is Still No . From mail carriers and church singers to long time activists, from self-proclaimed “cow girls” to First Nations leaders, the Voices in this book show the depth and breadth of opposition to the pipeline. The economic, social, environmental and legal case for the pipeline is so weak and the strength and passion of the opposition so strong that the vested interests of ‘big oil’ and their political backers will have met their match should they try to push the project through just as other ‘development’ projects in the region – from Kemano II to fish farms to coal bed methane – have previously been halted in their tracks. The authors have just edited a collection of Voices of Resistance to the Enbridge project to build a pipeline to transport Tarsands oil from Alberta to the Asian market via the port of Kitimat in Northern British Colombia. The book ( The Answer Is Still No. 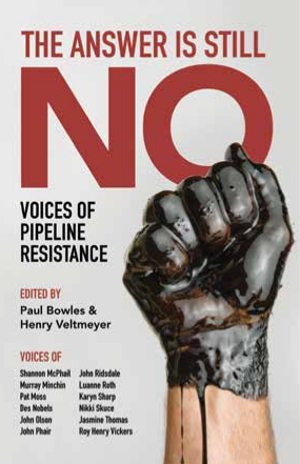 Voices of Pipeline Resistance ) will be published by Brunswick Books in March 2014, hopefully before the Harper regime will announce its anticipated decision to approve the project. While the Voices and the book focus on the Enbridge pipeline, they speak to issues well beyond it. They speak to the issue of the whole extractivist development model, now being pursued so vigorously by governments and corporations in Canada, and its limitations. 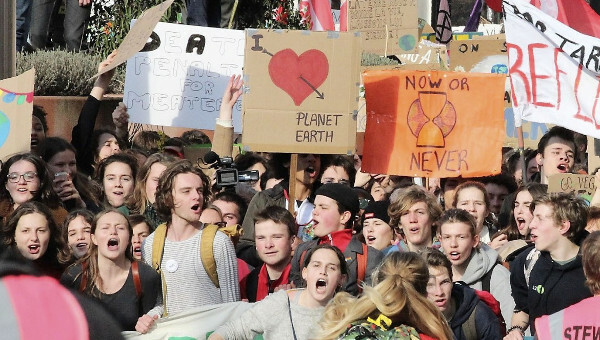 The Voices question the legitimacy of this model and offer alternative ways of thinking about development based on local control and respect for the environment. This is relevant for many communities across Canada and elsewhere as well as for the next looming issue in northern BC itself – natural gas pipelines. The contributors share their views of how pipelines carrying tar sands bitumen and natural gas should be seen. Included in the Voices are not simply the reasons for opposing the Enbridge pipeline compelling as they are, but also the mechanisms for doing so. In our interviews we were keen to draw out the lessons learned for other resistances. The interviews explore how civil society organizations work together, what mechanisms they use and levels they work at, what alliances they make and what niches they occupy. We explore how First Nations communities work together and with non-Aboriginal groups. None of this should be taken as problem-free. There are divisions within and between the various communities, Aboriginal and non-Aboriginal. Many of these have been caused by decades of colonialism with respect to First Nations communities and to differences of interests between labour and environmental groups for example. Of course, government and business do their best to exploit these differences, including Natural Resource Minister Joe Oliver’s attempt to label opposition to the pipeline as the work of “foreign funded radicals.” There are tensions in the pipeline resistance movement as would be expected in any broad coalition and some of which are evident in the Voices printed in the pages of our book. But far more noteworthy and inspiring than these are the solidarities, the commitments to work together and overcome obstacles, the shared objectives and the passions which come through loud and clear in the Voices presented. When we started our journey this book was not part of the planned outcomes. We were undertaking research as part of a wider academic project on how northern British Columbia is globalizing. As part of this, we wanted to understand the opposition to pipeline development, especially the proposed Enbridge pipeline, just one of the many projects either actual or proposed in the region as part of the strategy to transport more of Canada’s resources to the growing markets of Asia. The Enbridge pipeline proposal is simply one high profile example of this broader globalizing thrust. The proposal is for two 1,177 kilometre pipelines to be constructed from close to Edmonton to the northwest port of Kitimat. One pipeline would carry 525,000 barrels of bitumen per day from Alberta’s tar sands to the terminal in Kitimat. Here it would be loaded onto supertankers, 225 per year, for transportation to Asian markets for refinement. The other pipeline, flowing eastwards, would carry the condensate used to thin the bitumen for pipeline movement. Although the pipeline proposal comes with the promise of jobs (although how many is disputed), the overwhelming response to the project is negative. The Joint Review Panel (JRP) held public hearings in BC and Alberta for a year and a half starting in January 2012. The title of this book, “The Answer is Still No” comes from the rally held at the last JRP hearing in Terrace in June 2013. 96 per cent of the 9,500 public submissions to the JRP were opposed to the project. A coalition of 160 First Nations have said ‘no’ to the project. 31 municipal governments, two regional districts, the Union of B.C. municipalities and six unions have passed resolutions against the project. Public opinion polls have showed strong majority opposition. 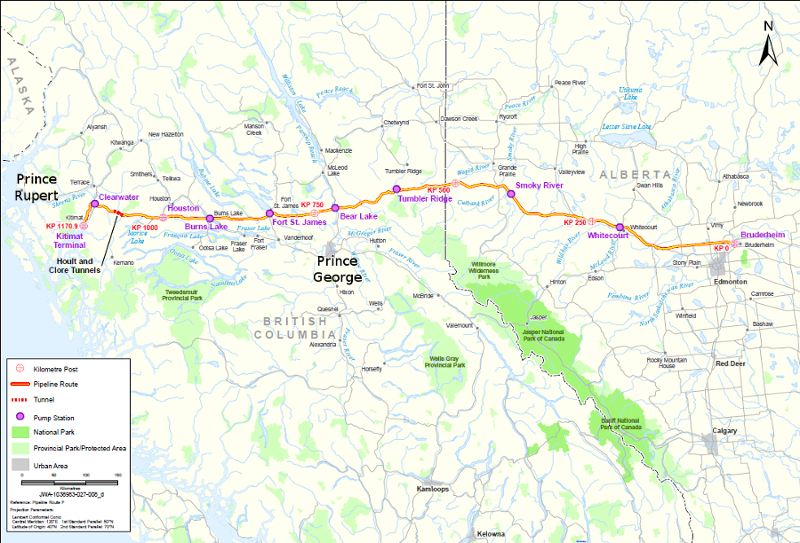 Map 1: Prince George west to Prince Rupert. Source: Enbridge Northern Gateway Project Joint Review Panel. Understanding the basis for, and dynamics of, this widespread resistance to the pipeline formed the basis of our research questions. We were interested in how the resistance had managed to draw so many supporters, what the basis of this support was in terms of both the issues drawing people to the resistance and its social basis. We were interested in how traditional divides had been overcome, how organizations worked together, and how best to describe the resistance – as a social movement? As civil society? We therefore decided the travel that part of the proposed pipeline route from Prince George west to Prince Rupert, some 720 kilometres away, shown in Maps 1 and 2. We aimed to meet and interview people from organizations opposed to the pipeline. Our starting point for identifying the people and organizations was the website pipeupagainstenbidge.ca. Map 2: Northern British Columbia’s First Nations Peoples. Source: desmog.ca. We conducted interviews with nineteen people on our week long journey. Twelve of them are Voices in this book. These twelve were selected on the basis of their willingness to be personally identified and their roles in the opposition to Enbridge. We learned far more than we thought possible. Some of it is contained in other academic writings. But as we made our pipeline journey we also learned that many questioned the utility of academic work; others were more blunt and pointed to its futility. Publishing in academic outlets, laden with jargon and read by a few is all well and good, we were told, but how would that help the people that we were interviewing and the cause for which they were fighting. Good questions indeed. This book is our attempt to provide an answer. To provide edited transcripts from the interviews, to provide a space for the Voices contained herein to speak to the broader world, to provide a record of their reasons for opposing the Enbridge project, to shed light on the mechanics of resistance and, perhaps most of all, to share with others the inspiration which we felt in talking with the people you will hear from in this collection. We hope that the power of their Voices come through as clearly and strongly in the written word as they did in the spoken word. The Voices we hear in this book appear in the order in which we heard them as we travelled from Prince George to Prince Rupert. The first Voice is that of Karyn Sharp, who works as a Traditional Knowledge Research Coordinator in Prince George. In her interview, she highlights how the legal “duty to consult” with First Nations communities works in practice. This “duty” is required by the Crown but is typically delegated by governments to businesses who must show that they have “consulted” with First Nations communities over proposed projects on their lands. Karyn explains how this is a wholly inadequate process in many cases and deprives Aboriginal people of respectful input into decisions. It should, of course, always be remembered that in B.C. the vast majority of Aboriginal land claims remain unsettled by Treaty, a fact which places them in a unique legal position. This point is also made by Jasmine Thomas, a young Dene women and member of frog clan living in Saik’uz. She also highlights how an alliance of six First Nations, the Yinka Dene Alliance has worked at local, national and international levels to bring pressure to bear on the Canadian government to take its responsibilities toward First Nations people and toward environment sustainability seriously. John Phair, from Burns Lake, provides us with some insights of the challenges of organizing in small communities. He also speaks to the history of resource development projects in the area and the evictions which affected, and continues to affect, First Nations people today. Travelling further west to Smithers, we first hear from John Ridsdale, Hereditary Chief Na’moks of the Wet’suwet’en. He tells us of his responsibilities as a Hereditary Chief and the reasons why the Wet’suwet’en people have rejected all pipelines – oil or gas – on their traditional territory. He explains his responsibility to future generations and to the land, responsibilities which arise out of indigenous law. In this respect, it is interesting to note that while indigenous law places responsibilities on Aboriginal individuals and communities to protect Mother Earth, Canada and British Columbia do not specify any environmental rights in their laws. Indeed, while over 100 other countries have specified constitutional environmental rights and responsibilities, Canada and British Columbia remain shameful laggards. Pat Moss, an activist for the past 35 years, provides some historical context in her interview. She speaks of the many struggles in the region including the successful campaigns against fish farming off the north coast which would threaten wild salmon stocks and the halting of the Kemano II project in 1995, proposed by Alcan to provide more hydroelectricity for its smelting operations but which would have threatened water levels in the Fraser river system and hence salmon stocks. Pat speaks to how First Nations and non-Aboriginal communities have long histories of working together on campaigns of which Enbridge is just the latest. In contrast to Pat Moss’s long standing activism, Shannon McPhail speaks of her conversion from a Harper supporter to a “common sense” opponent of the pipeline. This journey started for her when she learned more about Shell’s proposal to drill for coal bed methane in the Sacred Headwaters. This is when her world was turned upside down and she came to see the damage that could be done by the type of development projects being proposed in the region and started organizing against them. Roy Henry Vickers and John Olson come from the traditional territory of the Gitxsan, a community torn apart by a rogue chief’s decision to sign an agreement with Enbridge which sparked mass protests in the community including the boarding up of his office. 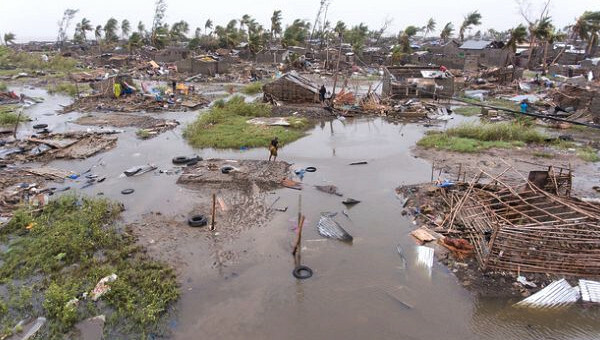 They share with us some of the challenges created by this situation. Roy’s words also offer a powerful case for an alternative way of thinking focused on the real value of nature and friendship rather than what he calls an addiction to the false god of money. Murray Minchin, much like Shannon McPhail, came to take an organizing role in opposition to Enbridge from a non-activist background. When he heard about the pipeline proposal he started doing his own research and began to realize the folly of the pipeline with its plan to transverse remote mountainous terrain before then being shipped through the hazardous Douglas Channel. He speaks to these follies and for the desire to keep BC’s northwest coast tanker-free. This view is shared by the last voices on our journey, those of Des Nobels and Luanne Roth. They speak as two individuals with long histories in the commercial fishery which has seen major changes as a result of the concentration which has taken place in the industry as well as Department of Fisheries and Ocean (mis)management. They speak as Voices for a way of life under threat from many sources of which the pipeline and the tankers are but the latest. Taken together, the Voices presented hear form a powerful testimony against the Northern Gateway pipeline and for forms of development which earn the “social licence” of the communities in which they occur by respecting the rights of First Nations, valuing the environment, and benefitting local communities. While some projects have met this test and are peacefully proceeding, the Enbridge proposal resoundingly fails on this criterion, whatever federal and provincial governments may say, and will be resisted by communities throughout the region. “In Victoria, … on October 22 , 4,000 to 5,000 people rallied in front of the British Columbia Legislature to send a forceful message to the tar sands industry and its political representatives. ‘No tarsands pipelines across BC! No oil tankers in coastal waters!’ read the lead banners. “Two days later, thousands of activists staged rallies at the offices across the province of more than 60 elected members of the Legislature. Both actions were organized by the recently formed Defend Our Coast coalition. It also included Maude Barlow, Chairperson of the Council of Canadians, and a leading spokesperson for a growing Canada-wide coalition of groups in the environmental movement. The Voices presented here are therefore part of a much wider movement concerned with the tar sands, with climate change and with extractivist development. While we are in no doubt that they will win their fight against Enbridge it is but one battle in a larger war being waged around the world. Indeed, it is evident elsewhere in northern BC itself as the Tahltan First Nation’s challenge to Fortune Minerals proposed coal mine at Mount Klappan and challenges to Taseko’s Fish Lake mine project illustrate. It is useful to provide a brief overview of the wider dynamics of extractivism, where and why it has returned to the global agenda just as it has in northern BC, with a special emphasis on Latin America where many of the parallels are clearest. This also helps us to understand why the Voices presented here from northern BC are also heard in many other parts of the world – coming from different mouths to be sure but the voice is still the same. Since the early days of capitalist development – the era of mercantilism, colonial rule and the construction of Canada and other nation-states – both capitalism and imperialism have evolved, assuming different forms over time. The latest form of capitalism has been dubbed ‘neoliberal globalization’ with reference to the ‘new world order’ established in the early 1980s to govern relations of international trade within the world capitalist system and also a program of ‘structural reforms’ (privatization, liberalization of flows of capital and the movement of tradable products, deregulation of markets and private activity) in macroeconomic policy – rules designed to liberate the ‘forces of economic freedom’ (the market, the private sector) from the regulatory constraints of the welfare-development state. The neoliberal policy reform agenda of capitalist development was advanced in three stages. The first cycle of neoliberal reform, implemented under the Washington Consensus on the virtues of free market capitalism, unfolded in the 1980s (both at the centre and on the periphery of the system). The result of these ‘structural’ and institutional reforms in macroeconomic policy was the inability of governments on the periphery of the world capitalist system to protect their domestic producers and industry in the form of industrial policy which had served the now industrialized countries so well in the past. Bereft of the policy tools (such as public investment, regulations and tariffs) to protect domestic producers and industry, which was the price set for admission into the new world order, economies on the periphery (in Latin America for example) were subjected to powerful forces that resulted in the destruction of the productive capacity in both agriculture and industry. By the end of the decade, a decade for Latin America ‘lost to development’ (zero growth in GDP and a decline in per capital incomes), the labour market for wage-paying jobs had effectively been closed down, forcing the masses of dispossessed rural migrants fleeing to the city in the search for a better life to work for themselves ‘on their own account’ in the streets. Social inequalities in the distribution of income dramatically expanded to the extremes of concentrated wealth at one pole and new forms of (urban) poverty at the other. The second cycle of neoliberal reforms can be traced back to the early 1990s, with the recognition that policy makers had gone too far in the direction of the free market, and the perceived need to establish a ‘better balance’ between the market and the state, i.e. to bring the state back into the development process to secure thereby a more inclusive form of development. 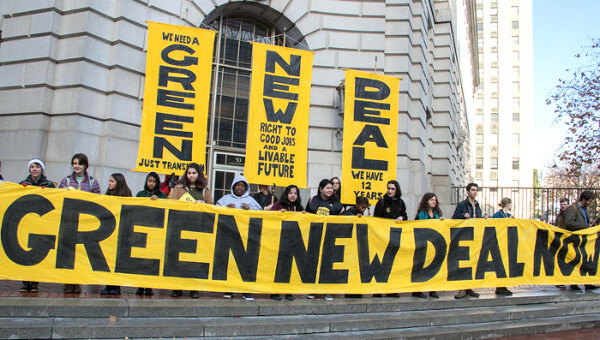 This post-Washington Consensus was reached at the beginning of the 1990s but it was not until the turn into the new millennium that it crystallized in the form of a ‘new social policy’ oriented toward poverty reduction as well as a new economic model designed to bring about a more inclusive form of development – the ‘new developmentalism,’ as it is termed in Latin America. However, conditions in the new millennium had radically changed with the third cycle characterized by a major influx of capital in the form of foreign direct investment, but also the growth of a popular movement led by peasants, landless rural workers and indigenous communities, opposed to the neoliberal policy agenda. In some countries, the new economic model constructed in the wake of these social movements was geared to changing conditions both inside the region (the widespread rejection of neoliberalism as an economic doctrine and guide to public policy) and in the world economy where the ascent of China as an economic power and a source of the growing demand for ‘commodities,’ including precious metals, energy and industrial minerals, has been central to the return to extractivism in many parts of the world. Under these conditions the political class on the left of the political spectrum in a number of countries managed to achieve state power, elected by a populace anxious to move beyond neoliberalism and to demand an improvement in their social condition. The result was the construction of a post-neoliberal state in a number of countries in South America – Venezuela (1999), Brazil (2002), Argentina (2003), Chile and Bolivia (2006), Ecuador (2007), and Paraguay (2008). Under pressure from the outside and within many of the governments formed within the institutional and policy framework of this state turned toward the ‘new developmentalism’ and a strategy of national development based on the extraction of natural resources and the export of these resources in primary commodity form: extractivism and reprimarization (the return toward primary commodity exports). The policies of these post-neoliberal regimes were characterized by ‘inclusionary state activism’ – the channelling of resource rents and fiscal revenues into anti-poverty social programs. 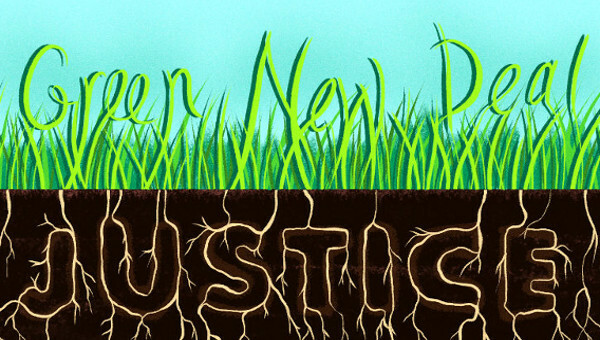 The new extractivism. However, these post-neoliberal regimes were not the only ones to turn toward extractivism as a strategy of national development – ‘sustainable resource development’ in the discourse of the Canadian government. Extractivism has been followed by both post-neoliberal and neoliberal states, by parties of the right and of the left. For example, both Colombia and Mexico, regimes that were aligned with the U.S. and held steadfastly to the Washington Consensus and the neoliberal model, also turned toward extractivism as a development strategy – a strategy to which Canadian mining companies in particular responded by dramatically expanding investments and operations in Latin America. And in Canada, a similar development was occurring with the federal government, for example, turning away from policies designed to expand the forces of national production in Canada’s industrial heartland, and turning toward a strategy of natural resource development – to extract the country’s wealth of natural resources such as tarsands oil, which are predominantly concentrated in the West rather than the East (Ontario and Quebec) – creating thereby not only a new axis of capitalist development but also the regionalization of national politics. The rush to send natural resources to Asia is as keenly felt in Canada, and in northern BC in particular, as it is in many Latin American countries. Extractivism (natural resource extraction and the export of commodities) in its classical and new forms has therefore come to dominate economic and political developments in both Canada and other parts of the world over the past decade. The economic impact of extractivism can be traced out in the pattern of global capital flows – the flow of foreign direct investment, portfolio investments and the large-scale operations and speculative investments of international financial institutions and commodity traders. For example, Latin America over the past decade has received a disproportionate share of the global flows of foreign direct investments, and a large and increasing share of these investments are ‘resource-seeking’ – in the search of profitable returns on the extraction of resources and commodity exports. Another result of this turn toward extractivism has been what the World Bank has called ‘large-scale foreign investment in the acquisition of land,’ more accurately labelled ‘land-grabbing’ (the purchase by both corporations and governments of large-scale tracts of land in Africa and parts of Latin America and Asia for the purpose of growing food, producing biofuels and extracting natural resources in the form of precious metals and minerals … to meet the food and energy security needs back home. Notwithstanding the numerous contradictions and serious negative economic (including the impacts on manufacturing and value-added jobs in general) and political (including the privileging of large capitalist extractivist firms and foreign investors) effects of extractivism as a strategy of national development, they pale in comparison with their negative social and environmental impacts. Numerous scientific studies on these impacts have demonstrated a pattern of livelihood destruction and environmental degradation, as well as negative effects on the health of the population directly affected by the operations of extractive capitalism, including open pit mining, gold and silver mining, the construction and operations of oil and gas pipelines, and tanker traffic. These impacts have been so severe as to lead many analysts to view them as a new form of ‘accumulation by dispossession’ – accumulating capital (making private profit) by reducing access of communities across the world on the periphery of world capitalism, including northern BC, to the global commons of land and water (and resources), forcing those directly impacted by extractive operations – and the new global landgrab and resource grab – to abandon their ways of life and their communities. different parts of the world, including Argentina, Nigeria and Indonesia. Parts of Argentina, according to this report, are among the top ten most polluted places on the planet as the direct result of mining activities, gold mining for example, that use mercury and cyanide in the processing of the precious metal. In these extraordinarily toxic places, the Report adds, “lifespans are short and disease runs rampant,” and once these toxins are released into the environment they can leach into watersheds and end up in fish and other foods people eat anywhere on the planet, converting a local problem into a global issue. longest crude oil and liquids pipeline system, with data culled from Enbridge’s own reports, the Polaris Institute calculated that from 1999 to 2010 up to 804 spills occurred on Enbridge pipelines. And this is in the case of a company that takes pride in being an industry leader in corporate social responsibility and in the use of the most advanced technology regarding the tools, technologies, and strategies necessary to ensure the fitness of its pipelines and the prevention and maintenance as well as the cleanup of oil spills. These conditions are: JRP approval, appropriate consultation with First Nations, world class land spill response capacity, world class ocean spill response capacity, and a “fair share” of the economic benefits for BC. See “The People of British Columbia Say No to Enbridge” for a full list of the organizations. Roger Annis, “A Movement Against Tar Sands Oil, Pipelines and Tankers is on the Rise in Canada,” The Bullet , No. 720, November 2, 2012. See Stephen Leahy, “Toxic towns and poisoned rivers: a byproduct of industry for the rich,” theguardian.co.uk, Friday 8 November, 2013. Sean Kheraj, “Tracking Canada’s History of Oil Pipeline Spills,” ActiveHistory.ca, November 7, 2013. See Richard Girard, Out on the Tar Sands Mainline: Mapping Enbridge’s Web of Pipelines , Polaris Institute, March 2012. Paul Bowles is a professor in economics and international studies at the University of Northern British Columbia. He is co-editor of the forthcoming book The Answer Is Still No. Voices of Pipeline Resistance . Henry Veltmeyer is a professor of international development studies at Saint Mary's University and Universidad Autónoma de Zacatecas. He is co-editor of the forthcoming book The Answer Is Still No. Voices of Pipeline Resistance .